Things I liked: Everything about this replacement stock is what I hoped for. The weight reduction is very noticeable when assembled on the barreled action and I appreciate the traction provided by the stippling. Things I liked: If you have small hands grip feel good. Things I liked: Great product. Lighter than the wood stock. I bought as a switch out option since it's one screw to move. This stock has strap to carry. Wood has bipod for bench shooting. What others should know: Not a bad price if you want to have the option to switch. What others should know: Pa did a good job on shipping very well packaged, the copy I got looked used the mold might of been scratched up inside cause the details on the copy I got shows it. Things I liked: It's liter than the wood. Very rugged. Things I would have changed: Try and get it liter. What others should know: This is a good field stock. Remove it and wash in the sink, blow off with the air compressor. Rub with a little oil and it looks new again. Things I liked: Greetings - First stock is a production piece so all previous comments and reviews still apply. With this price I felt freed to clean up the production molding lines and broke all sharp edges. Things I would have changed: An injected hard foam to stiffen the stock and damping sound without adding much weight would be nice. 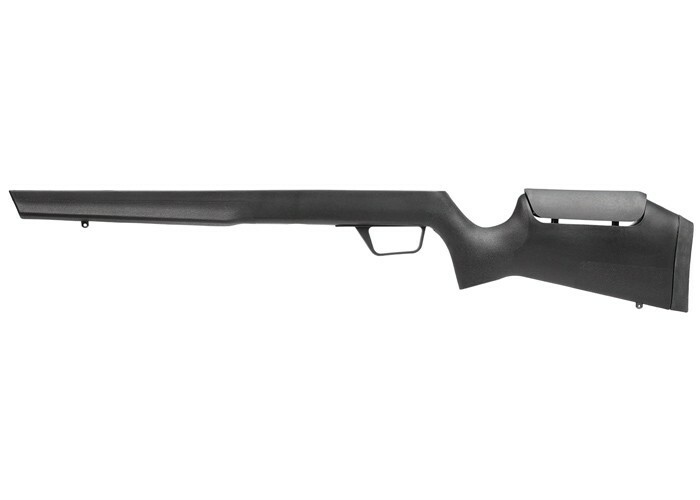 What others should know: In the field this stock is immune to most scratches and dings, but if it happens some plastic weld and a camo paint job and its new again. Things I liked: I have a second-generation Benjamin marauder, wood. I wanted to preserve the Woodstock, and put it in the gun safe. The synthetic stock is much lighter and better for hunting and brush as it will not scratch. What others should know: Good option to have two stocks, one for show and one for go. Things I liked: Definitely light weight compared to the wood stock. Things I would have changed: The front stock is a little to "flimsy" for my liking. But this accounts towards the lightweight if the stock.